Destiny USA is literally swarming with Pokémon! 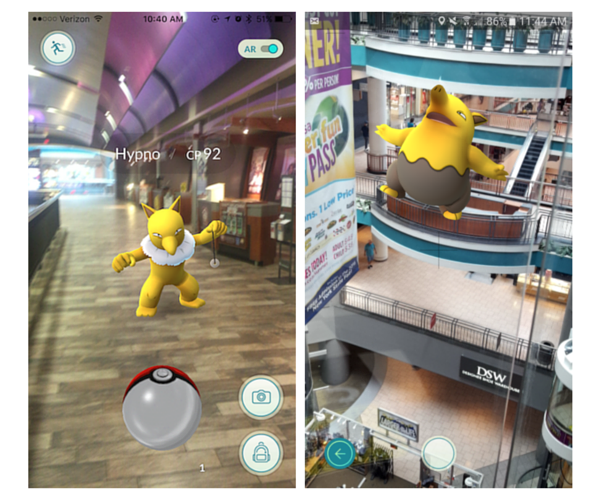 With two training facilities (gyms), three different Pokéstop and THOUSANDS of Pokémon ready to be captured, Destiny USA is a treasure trove for training and spotting some of your favorite characters! 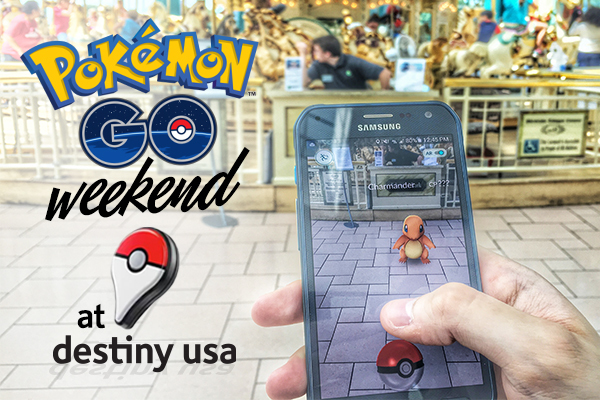 To assist you in your Pokémon training efforts, we’ve compiled a list of tips to help you level-up as quickly as possible during Pokémon weekend at Destiny USA. 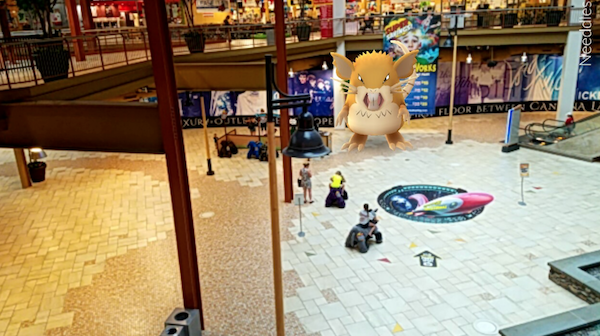 Remember to screencapture your Pokemon sighting at Destiny USA this weekend on your mobile device and bring it to Guest Services to enter to win FREE valet parking, carousel rides, Destiny USA Summer Fun Day Passes and Destiny SWAG! Random winners will be selected from all entrants received 7/15-7/17 and notified Monday morning, 7/18. Update your app. Make sure you have the most current version of the Pokémon app. The newer version is more secure, and crashes less often. Scour with Destiny USA’s FREE WiFi. Save big on data during your hunt by logging into Destiny USA’s FREE WiFi network. Set your phone to use as little battery as possible. Lower your screen brightness, mute the volume, and disable background apps. Visit every Pokéstop you see. 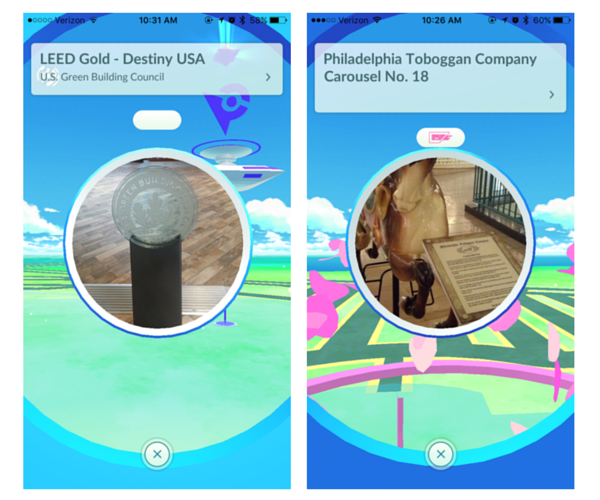 Destiny USA has three unique Pokéstops, one located at the antique carousel inside Destiny USA near the Food Court, one in the Canyon near WonderWorks and one outside of the Pedestrian Bridge. You get 50XP for every Pokéstop you visit, even if you don’t pick up any items. Keep only the Pokémon with the highest CP. Depending on how much you play, you will collect dozens of Pokémon during your visit. If you are running out of room, save only the Pokémon with the highest CP. Transfer the rest to the Professor, err, Professor Wonder at WonderWorks, that is. Use good Poké-targeting skills. The last thing you want to do when you’re far away from home is waste valuable Pokéballs. Always wait until the green, yellow or red target circle is at its smallest size before you throw. Don’t forget to go into Destiny USA’s 250+ places to shop, dine and play once in a while. You never know what you might find! Don’t go into unauthorized areas. Under no circumstances should you go into any areas that aren’t clearly open to the public. Don’t go backstage, don’t crawl past any barriers. It’s a matter of safety*. 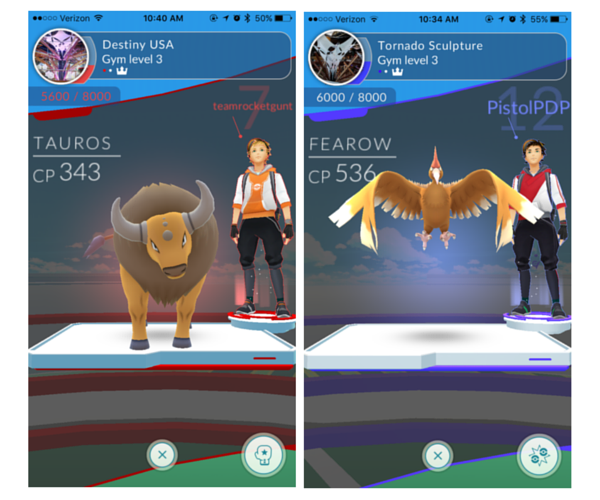 There are two gyms at Destiny USA…we could tell you where they are, but why ruin the fun and adventure of scouring for yourself! 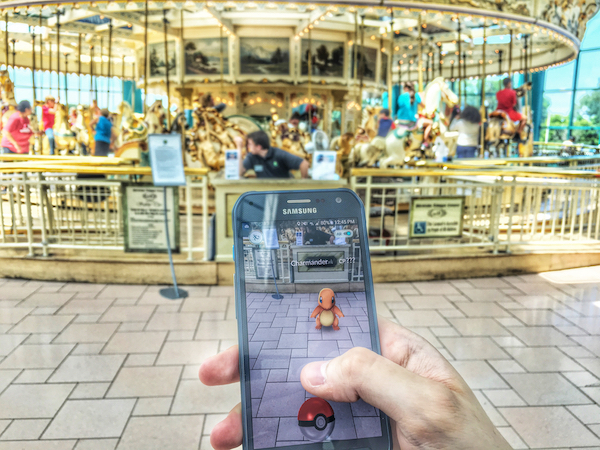 Remember to screencapture your Pokemon sighting at Destiny USA this weekend on your mobile device and bring it to Guest Services to enter to win FREE valet parking, carousel rides and Destiny USA Summer Fun Day Passes! Random winners will be selected from all entrants received 7/15-7/17 and notified Monday morning, 7/18. Destiny USA’s shops, restaurants and entertainment venues all have special discounts and deals you can take advantage of, as well! Visit World of Beer, WonderWorks, Best Buy Mobile, BC Surf & Sport and UNOs to learn about specific discounts and promotions for finding Pokémon. If you are a member of the specific team on the specific day, you will receive general admission at WonderWorks for $9.99! Rare Pokemon have been found inside of WonderWorks, including Charizards & Pikachus! Catch a Pokémon anywhere in 5 Wits and show your journal along with your receipt at the register and upgrade into your next adventure for free! Spot a Pokémon in Revolutions and receive buy one get one free on a game of bowling! Enjoy 20% off your meal at Uno Pizzeria when you catch a Pokémon in their restaurant! *Destiny USA did not choose or otherwise select the placement of any Pokéstops or Gyms within our facility. While we are very glad to have you play during your visit, it is important that you stay safe at all times. Pokémon and Pokémon character names are trademarks of Nintendo. Free Beatles Exhibit Admission and Valet Parking For All John, Paul, George and Ringos!